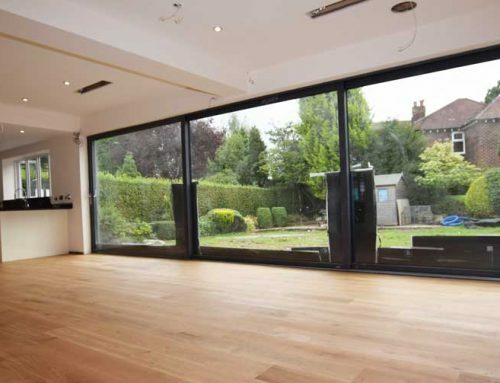 PROJECT BRIEF: Mr & Mrs Constantine were referred to Luxury Flooring Manchester by the owners of The Symposium nightclub in Wilmslow after we recently installed their new commercial flooring. 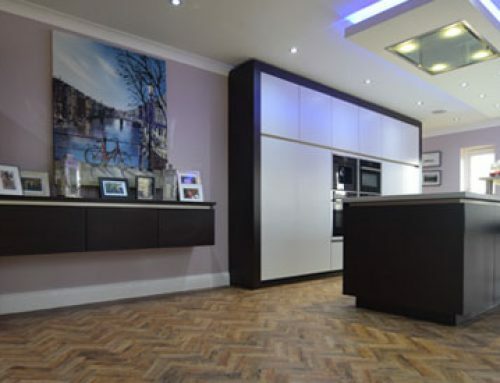 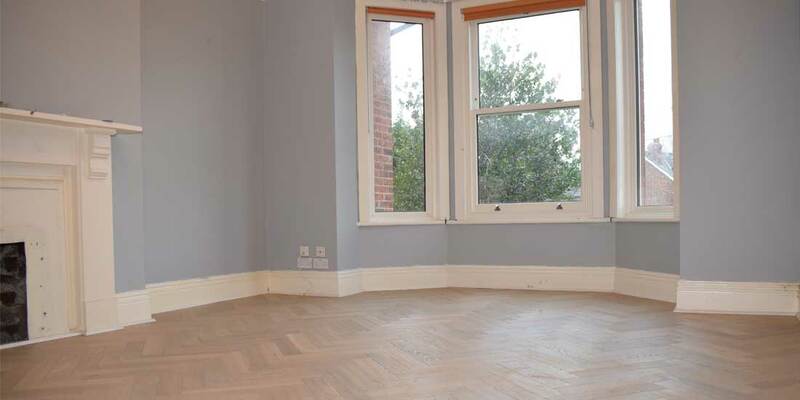 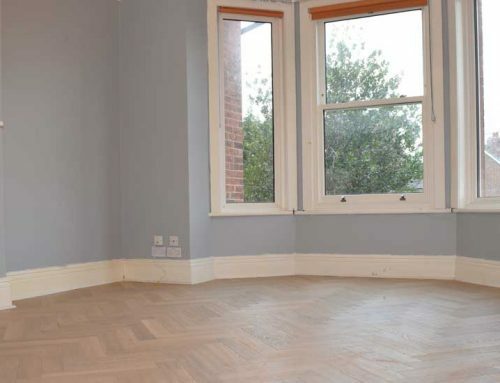 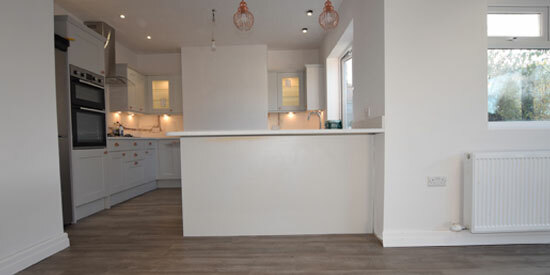 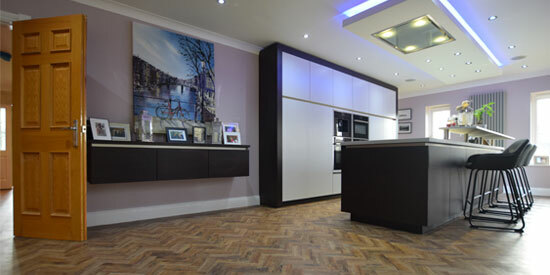 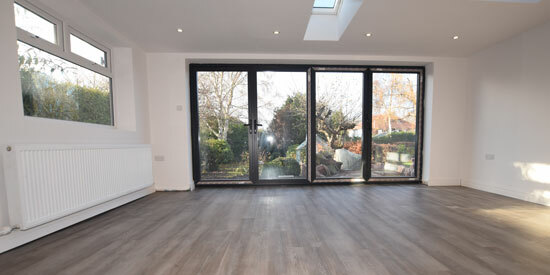 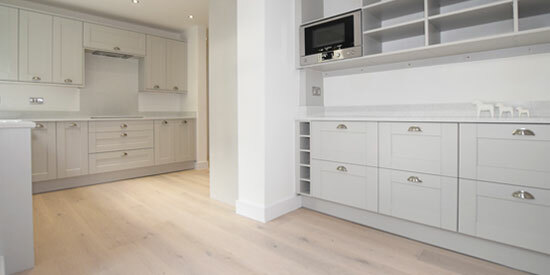 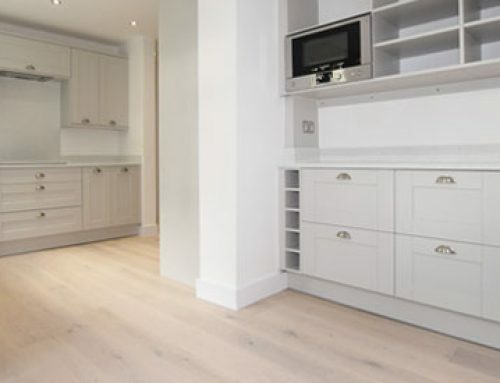 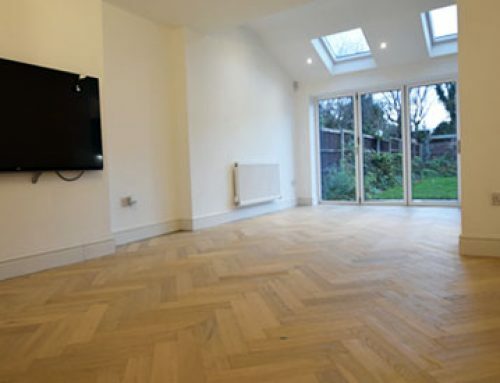 The customers wanted a specialist flooring company with certified Karndean fitters to install a new floor in their kitchen and their new extension. 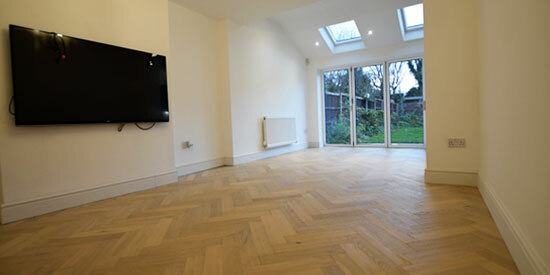 NOTES: The levels of the subfloor were floor were out by 40mm, therefore, we built the floor up by screeding in 2 phases.